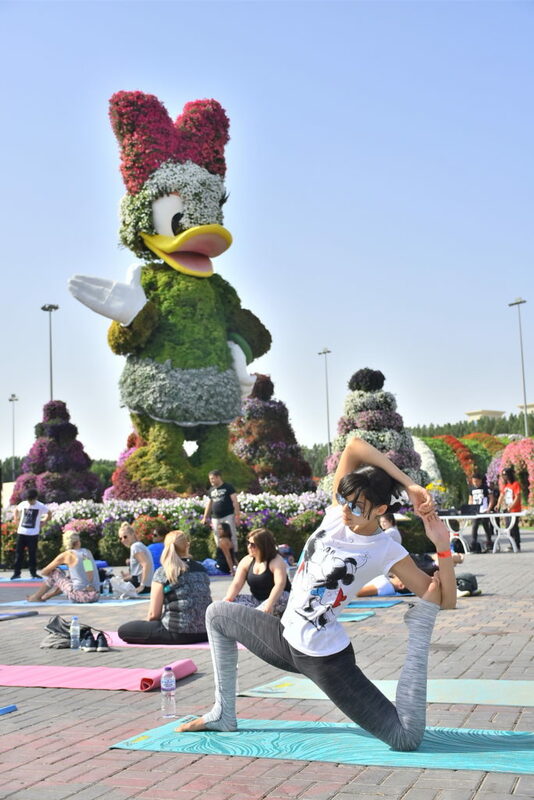 Disney MENA held a yoga event at Dubai Miracle Garden – the world’s largest natural flower garden – against a backdrop of stunning giant floral structures of Mickey Mouse and Friends. Families and yoga enthusiasts took part in a unique one-hour yoga lesson in the garden’s Disney Avenue led by yoga instructors from Dubai-based Yoga Ashram. Guests too young to participate were also treated to a number of fun activities including a Mickey & Friends themed face painting station, a ball pit, colouring station, and an educational food activity; all provided by local retail partner and dairy company, Arla Foods. The lesson was inspired by Disney’s wider Healthy Living commitment which uses Disney’s characters and stories to make healthier living fun and simple.